On Saturday, April 21st, a large contingent of our wonderful employees, spouses, children, and friends walked at the Delaware Brain Tumor Walk & 5K Run at the Wilmington Riverfront. 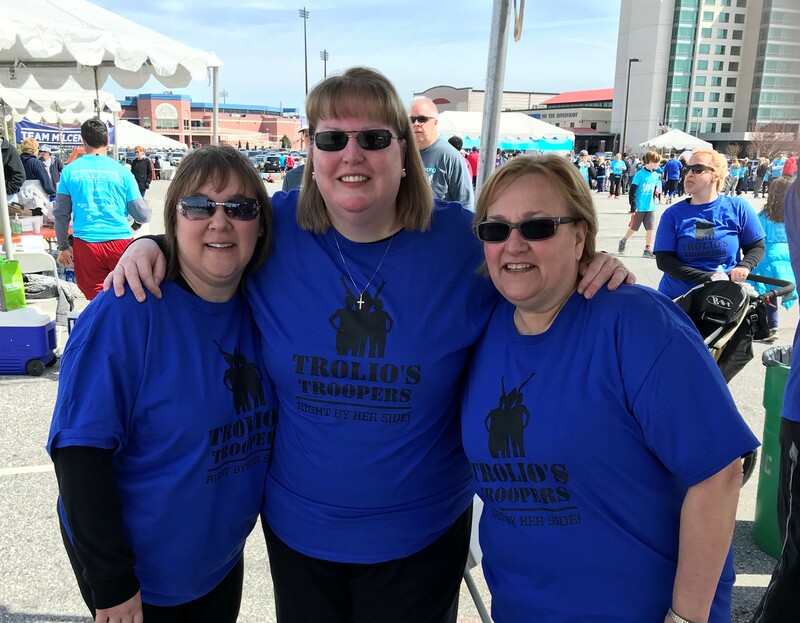 Our team, Trolio’s Troopers, totaled over 100 people. The walk is held to raise awareness and much-needed resources to fund critical brain tumor-specific programs to improve the lives of all those affected by brain tumors. Hosted by the National Brain Tumor Society, the Delaware Brain Tumor Walk & 5K Run offered individuals and teams a chance to honor and remember loved ones, connect with others interested in the brain tumor cause, and help educate the local community on the diverse needs of the brain tumor community. This year’s walk raised $176,638.37…our team raised $19,800…we were the Top Team Fundraiser out of 87 teams! We want to thank everyone who came out to support this very important cause, one that is very close to our hearts. Like we always say, we have the best employees around!